Why are people in New York City experts on swindles and deception? Can you figure it out? 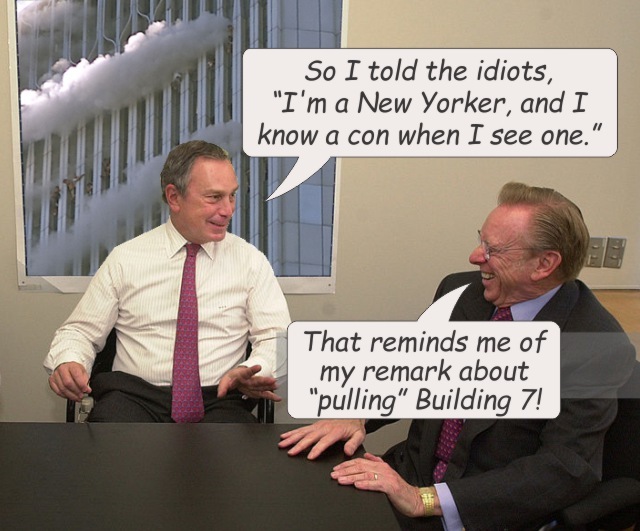 When Michael Bloomberg was mayor, he helped Silverstein commit insurance fraud. In 2006 he send letters to the insurance companies to pressure them into paying Silverstein. The original news article has been deleted, but it is in the Internet archive here.